Its hard to explain the importance of underlay in embroidery projects. Its much easier to show you what happens when you don’t use underlay. Take a good look at the picture above. 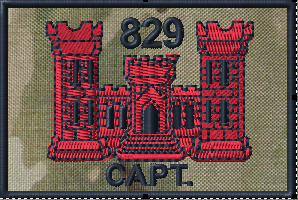 You don’t even have to look closely to see that it is a very very poor example of embroidery digitizing. There are many mistakes in this example and we are going to talk about the first one: underlay. We will continue to examine the design so everyone can learn what NOT to do in designs. When you go to a website to get some digitizing done, you sometimes pay a flat rate, and you sometimes pay per 1,000 stitches. In the latter case, the digitizers will increase the amount of stitches so that they can make more money. This is just as bad as the example – the end result design will be thick and be offset and will still have many faults. Please always check your designs before stitching them out to make sure you won’t break your machine or at the least break needles. This is why you need to learn to digitize for yourself – you can make sure that each design is done properly and done professionally. Lets get back to the picture. You have to notice right away that the red stitching is very very sparse and you can see the fabric underneath. Does that look good to you? 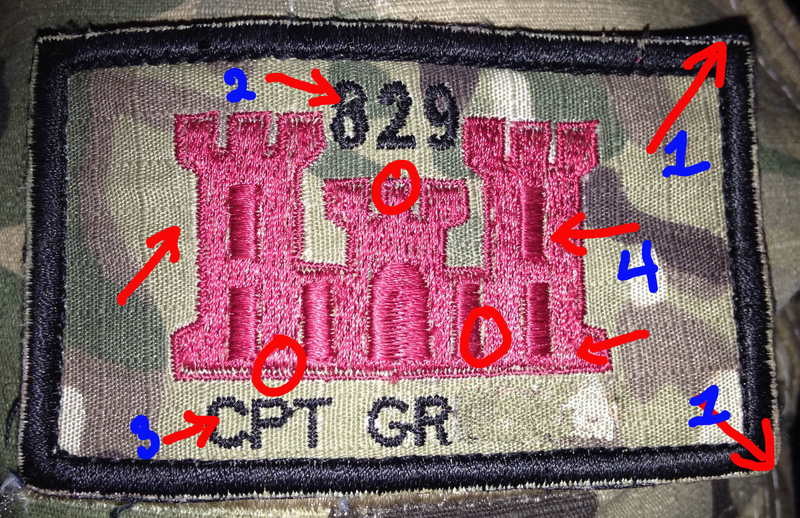 This example is of course a patch – we make professional patches – and NO this is NOT one of our patches. This is a patch we are fixing. In the world of patches, things are opposite. They usually don’t get paid for the digitizing, so they cut down the stitches to make the production faster. More patches stitched, more money for them. This patch needs some major corrections. First of all the underlay on the Engineer Castle symbol. Lets look at the stitching – it doesn’t look solid, the stitches look random and as I said before, you can actually see the material below. This looks awful. Some of the issues can be solved with underlay. Underlay sets the base for the actual embroidery design. Never forget your underlay! It provides the design with stability, underlay can raise up the design stitching and in the case of embroidering on towels or fancy material, it will provide a base to lay down the material so that it won’t come through the actual design. When we re-created the design, we added 3 types of underlay – edge, zigzag and centre underlay. This makes the design look amazing! Look at the sharp edges of the engineer castle – that is because of the edge underlay – it provides a base for a sharp, defined design and the edges will always be neat and tidy – they stitching of the actual design will not sink into the background material. Also, look at the lettering. Whenever you add lettering you want the lettering to be clear. This patch is 2inches by 3 inches in size, so the lettering is quite small and we made sure that there was edge underlay so the edges of the lettering is defined and readable. We also added zig zag lettering so that the lettering looks a bit raised – and stands out from the backing material. So, for Part 1 in Mastering Digitizing – know your underlay. Use it and make your embroidery designs look professional and well done. Great article! As a newbie this information is broken down for easy reading…thank you!